Over time the city of Portsmouth has developed two distinct centres, (Commercial Road and Gunwharf Quays). The development of Gunwharf Quays has drawn attention away from the original centre along Commercial Road and Guildhall Square. The aim of the Urban Design Charrette event was to suggest design interventions to knit the two centres together through analysing the existing urban condition. In preparation for the event, Year 1 and Postgraduate Architecture students undertook preparatory research and analysis of the areas included. 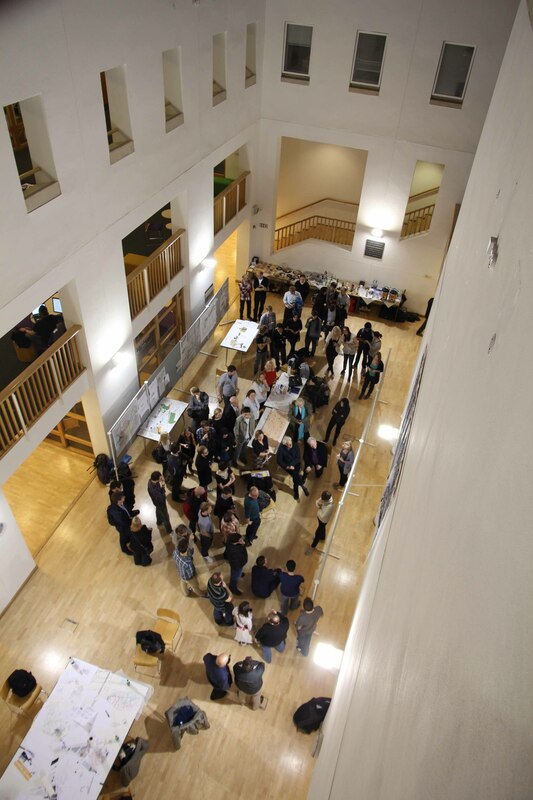 The charrette invited architectural practices from London and the South East region to mentor and work with five groups of post-graduate Architecture students to address the proposed question of how to re-connect Portsmouth. The combination of professionals, tutors and post-graduate students led to an energetic and creative day which presented inspiring and rigorous dialogues and ideas for the city. 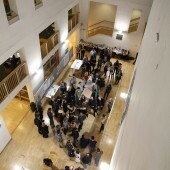 The event concluded with presentations from each of the groups to an audience made up of a variety of guests including members of Portsmouth City Council, Gunwharf Quays and the Solent Centre for Architecture and Design. The analysis from the charrette has since informed further student research and design exploration within the School of Architecture at the University of Portsmouth.